The Mirova team dedicated to general infrastructures was created more than ten years ago to accompany the private financing of public infrastructures in France. Since then, the team has provided equity funding to French and European projects of all sizes in various industries (transportation, social and educational buildings, telecommunications networks). Based on its solid experience and its extensive knowledge of the market and its operators, the team has progressively developed its activities in the European market and its brownfield assets. It has thus designed innovative strategies to meet the needs of highly competitive markets. Launched in 2005, the FIDEPP (Fonds d’Investissement et de Développement des Partenariats Public-Privé) is a French FPCI (Fonds Professionnel de Capital Investissement), which does not require AMF approval and can thus adopt derogatory management rules. The Fund makes it possible for the French Government and local communities to achieve their infrastructure and equipment projects in partnership with private companies, financial or industrial investors who co-invest alongside the Fund. The FIDEPPP was created in 2005 with a €200 m allocation, and is the first fund to be dedicated to PPPs. The FIDEPP has been subscribed by Groupe BPCE entities in its totality. In order to keep engaging with communities and industrialists involved in public-private partnerships, the team created the FIDEPPP2 in March 2012 as a successor of the FIDEPPP, entirely subscribed at that time. It has a €120 m allocation. The FIDEPPP follows the same investment policy than its predecessor, the FIDEPPP. BTP Impact Local (BTP IL) is a specialized professional investment fund dedicated to projects in local public infrastructures in France that do not need significant private investments. Finalisation of the Fund’s fundraising is currently in progress, and its size is so far exceeding its target. Developing the BTP IL Fund was based on the fact that SMEs and mid-size companies do not have easy access to public infrastructure projects, and that this market sector also lacks equity funding. So, BTP IL complements SMEs/mid-size companies throughout the projects’ value chain by acting as a long-term partner. The Mirova Core Infrastructure Fund (MCIF) is the first fund dedicated to regulated infrastructures in Continental Europe that are already operating (“brownfield”). The Fund benefits from a portfolio comprising a high level of quality seed assets. 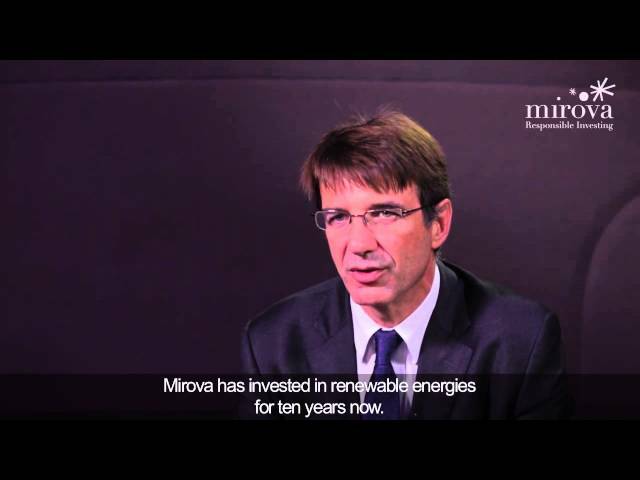 With this new strategy, the Mirova team builds on its past achievements . Mirova already has a track record on managing operating projects as well as an in-depth knowledge of Continental Europe markets. In addition, the team’s soundness and reliability have been confirmed through the Fund’s successful fundraising in excess of the initial objectives. While the initial target was of €500m, the final close of €700m has been held in July 2016. The Fund’s strategy is to purchase brownfield assets in Continental Europe, with a buy & hold approach throughout the Fund’s 25 year lifespan. With MCIF, it is possible to funnel long-term savings toward regulated real assets with long-term yield profiles. 1 The Funds described herein have not been authorized by any supervisory authority, except for Mirova Core Infrastructure Fund which had been approved the CSSF, the Luxembourg market authority. The Funds' investment objective, strategy and main risks are described in their regulatory documents. Their fees, charges and performances are also described in these documents. Investments in the Funds are mainly subject to loss of capital risk.